A few days after Senator Orrin G. Hatch of Utah announced that he would conclude his tenure after serving 42 years in office, the state’s governor, Gary Herbert, was growing anxious about whether Mitt Romney would run for the seat. The political resurrection of Mr. Romney appears unstoppable in a state where he was not raised and where he has not lived for most of his adult life. 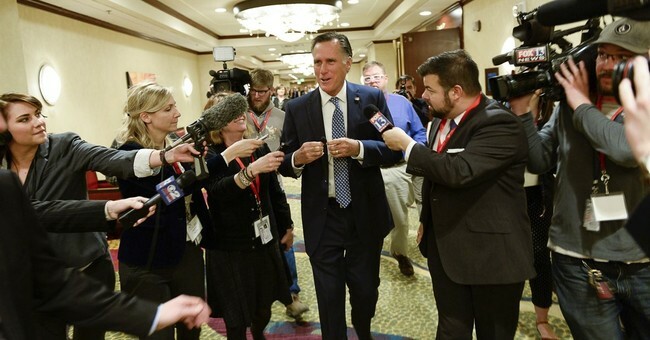 Mr. Romney, a Michigan-reared former Massachusetts governor, who was successfully treated for prostate cancer last summer, is beloved here as the savior of the Salt Lake Winter Olympics and as Mormon royalty. But if Mr. Romney’s Senate candidacy is inevitable, how exactly he would run and serve is less clear. His yet-to-be-declared candidacy is already highlighting the enduring fractures over President Trump in this heavily Mormon state, where voters have long been uneasy with Mr. Trump’s conduct. At issue is whether Mr. Romney, the 2012 Republican presidential nominee, should be an overt check on the president, and even use a Senate platform to mount his own White House comeback, or act as an ally and retain access to Mr. Trump the way Mr. Hatch has done. The existing Senate Republican caucus doesn’t want to do it for themselves because they’re largely getting everything they want. If Romney gets elected, how that will be any different? Why would he undermine his own party’s president when Trump is signing everything they produce? The problem for Republicans in 2017, remember, isn’t that Trump is blocking their legislative efforts — it’s that Republicans in the House and Senate can’t agree to fulfill the promises they’ve made to voters for years. Romney only adds to the potential for disagreement to the extent he wants to be a counterweight at all. He has value in the Senate, but it’s not going to be as the Anti-Trump. The only way Republicans can create a “counterweight” to Trump would be a primary challenge in 2020, and Romney’s exactly the wrong man for that job. Having Romney in the Senate will provide a little stability in Hatch’s absence and save the GOP some funds for candidate development that can be used in more competitive seats in 2018. As for him being the savior of the GOP brand, 2012 is calling and they want their eye-roll emoji back. It’s a seat we keep. Period. And 2018, for now, looks like it could be a brutal year for the GOP. With rumors of Romney’s return, former Hillary staffers became irate, noting the double standard between male and female losers of national campaigns. Romney never had the intense divisions in 2012 that plagued the Democrats in 2016. Ninety-three percent of Republicans voted for Romney. That’s one damn unified party. There may have been disagreements over the nominee; Romney was not perfect by any stretch of the imagination. His health care agenda in Massachusetts served as the blueprint for Obamacare. Republicans couldn’t have an honest discussion on health care with him around in 2012. Still, like with Trump, Romney won the nomination, and you fall in line. Also, it’s not as if Hillary has been sentenced to jail or has dove into the bunker. Hillary has a super PAC that’s fighting the Trump agenda, and could give donations to 2018 candidates as well. So, she’s not really going anywhere. For Romney, he could be going to D.C.